Authenticity is the foundation for my art. 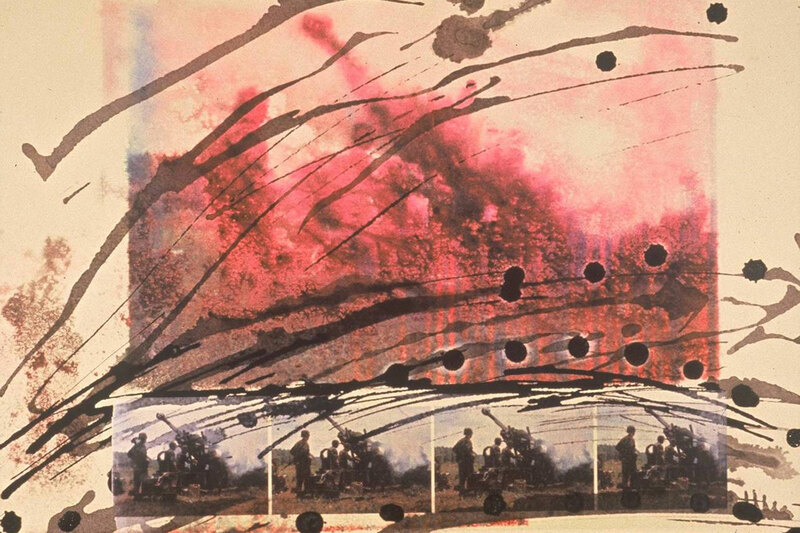 Digital and emulsion transfer processes, collage techniques, and painting are evident in the suite of images derived from my photographs of Soldiers and Marines training for war. My intent is to capture the essence and intensity of military missions that I was assigned to document and to generate images that sparkle with energy. I was a Soldier in the Virginia Army National Guard for more than two decades. As a Sergeant 1 st Class, Public Affairs NCO and stationed at the Maneuver Training Center, Fort Pickett, Blackstone, Virginia from 1997 until 2011, I was assigned to photograph and write articles about members of the United States Armed Forces training for battle focused missions prior to deployment. I observed, then immersed myself in various field training exercises. With camera in hand, I observed Soldiers and Marines, blended into the action and maneuvered around Service Members intent on accomplishing real world missions. I photographed sequential movements, intense facial expressions, hands engaged in operating equipment and weapons firing. My intent was to use my skills as a photojournalist to document and “tell the Soldier’s story”. In the studio, I transition from military photojournalist to artist. I consciously considerer “drill and ceremony” and military procedures while contemplating images for my mixed media collages. I use textures, surfaces and emulsion transfer imagery to embrace, synthesize and then visualize the chaos, confusion, motion and intensity of battle focused training. I employ the devices of asymmetric composition and repetitive images to create an effect of stop-action imagery. My mission as an artist is to transform the intensity of real world military missions onto paper, canvas and gallery walls for viewers to contemplate.